Hate Story 3 is an upcoming Hindi thriller movie, directed by Vishal Pandya & produced by Bhushan Kumar under the banner T-Series. It is the third installment of thriller series ‘Hate Story’, first installment was released in year 2012 & second one in 2014. The movie is scheduled to be released this year on 4th of December. 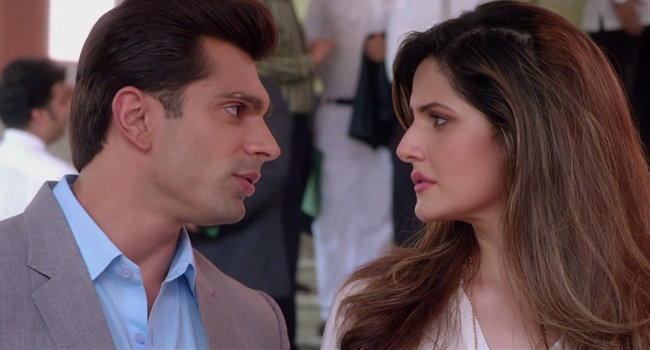 Hate Story 3 features Zarine Khan & Daisy Shah in lead roles, along with Karan Singh Grover & Sharman Joshi in pivotal roles. Story of the movie is written by none other than Vikram Bhatt & Madhuri Banerji. The very well known composers Amaal Mallik, Jeet Ganguly, Ankit Tiwari & Arko Pravo Mukherjee have composed its music. After the success of Hate Story 2, makers had announced its sequel. With the release of Ek Paheli Leela, makers revealed its introductional teaser which created good sensation among audience. Now after 6 months, on 16th October they have released its motion poster & official trailer. The video is integrated with many steamy hot scenes & lust, which has created huge buzz about the movie on social media. Karan Singh Grover has already done such love making scenes in his debut movie Alone with Bipasha Basu, but rest all three Zarine, Daisy & Sharman will be seen first time. Music is looking promising, which will definitely help movie to set good hype among audience.